Welcome to the Photography Program! Here you can choose from a variety of digital and film-based courses to pursue a commercial, photojournalism, or fine art career as a photographer. We are a vocational program and offer freelance and commercial skills certificates as well as an Applied Photography Associate of Arts Degree. We also offer several classes that transfer to UC and Cal State Universities. We have an excellent faculty and staff that is ready to help you develop your vision as a photographer. 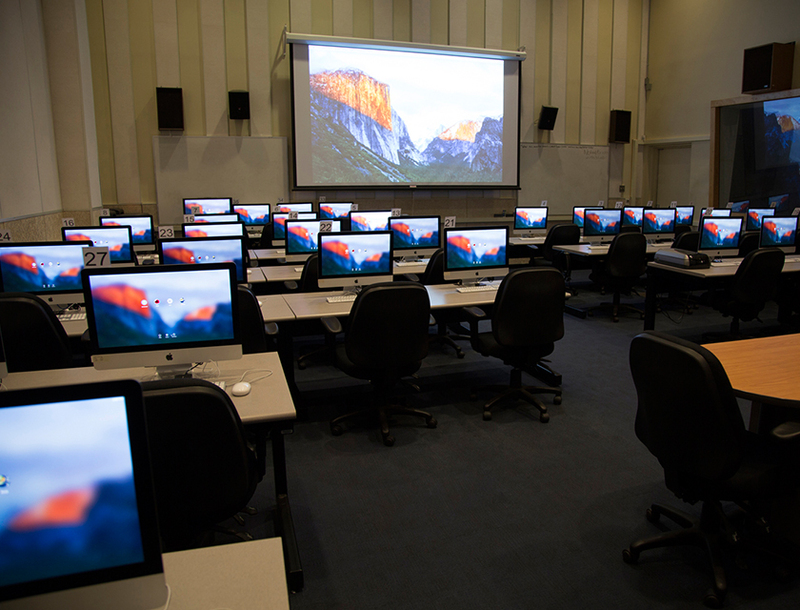 From Beginning to Advanced Digital Photography to Experimental Photographic Techniques, you can learn it here at LACC. Please have a look through our course offerings, student work, and feel free to visit us here in the Chemistry building or contact our department vice-chair, Daniel Marlos by email at marlosdj@lacitycollege.edu or phone (323) 953-4000 ext. 2835 for more information. 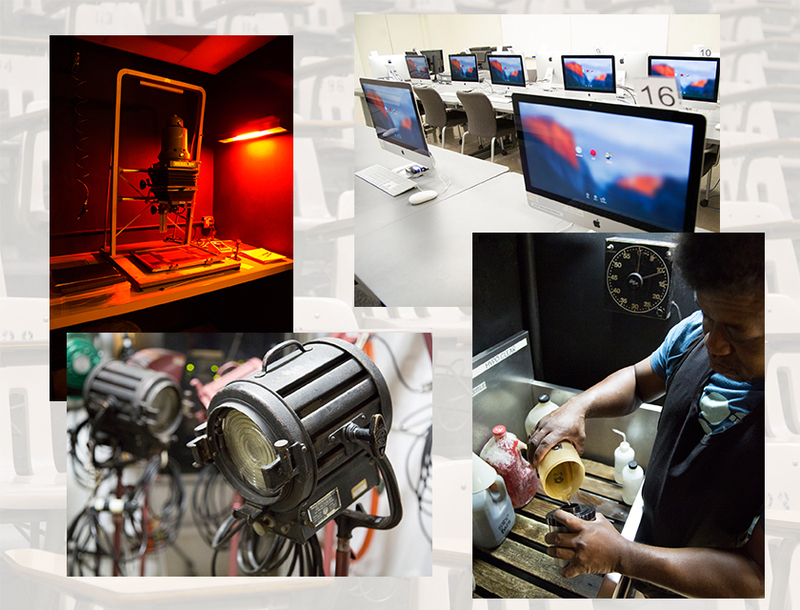 The Photography Program facilities include computer labs, B&W darkrooms, film processing rooms, a print finishing room, a studio with 3 stations, and a supply room full of gear for student rental. In the studio, students use both strobes and hot lights. Our studio is divided into three sets, each with lights and a studio 4x5 camera. Additional equipment can be checked out at the supply room. 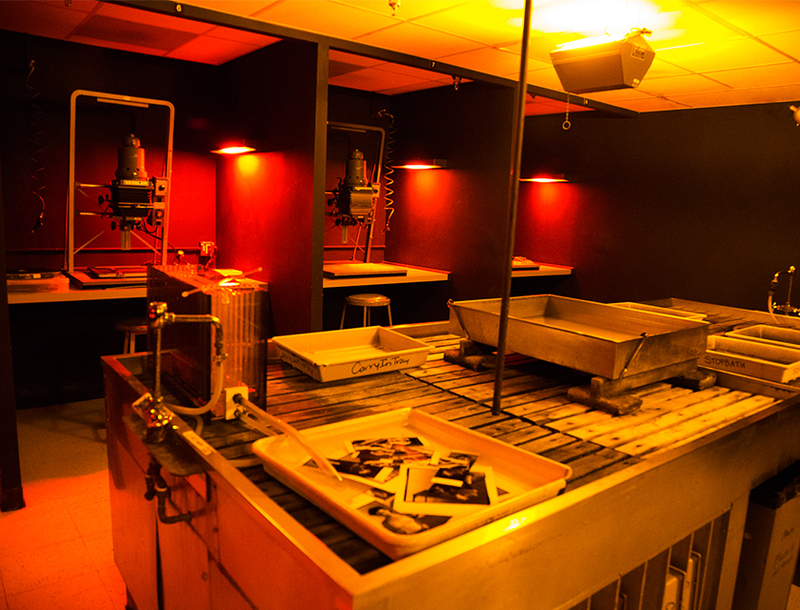 Six film processing rooms are available for processing black and white roll and sheet film for class assignments. 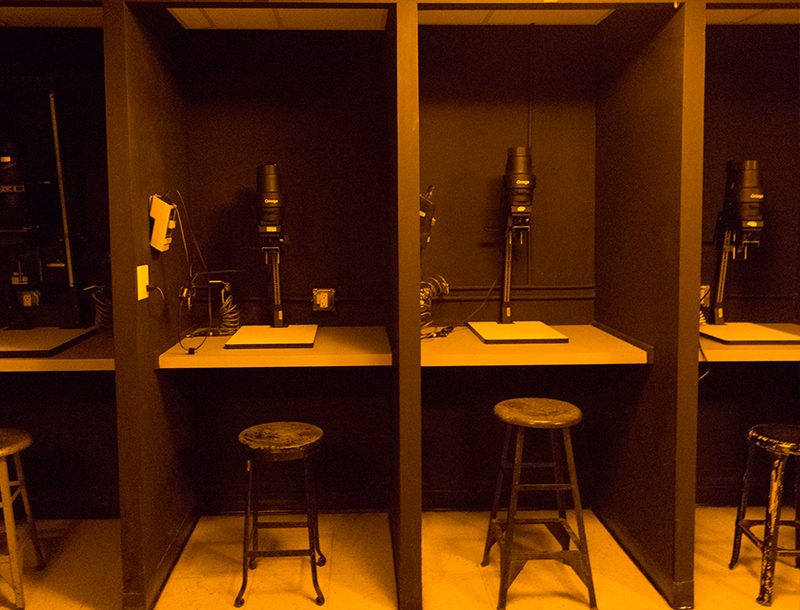 Advanced darkroom students print their 35mm, medium, and large format black and white negatives in our 10 spacious enlarger stations. 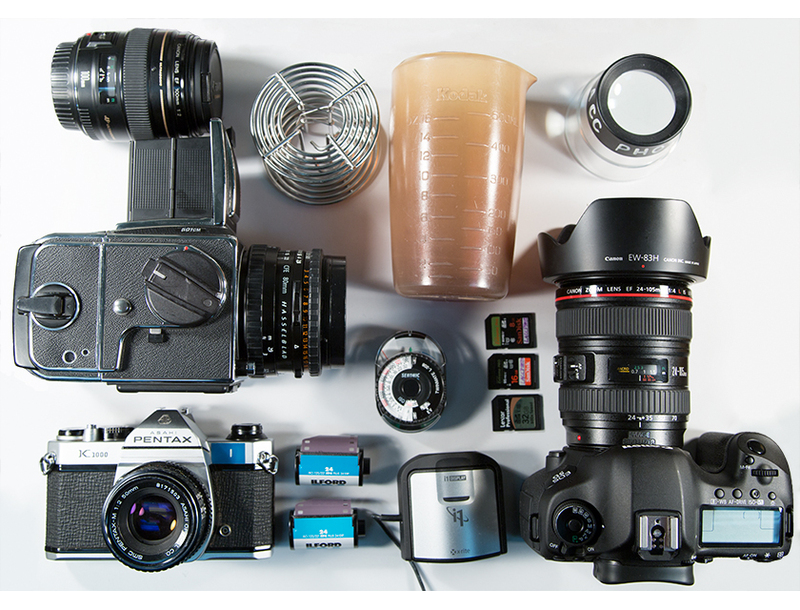 In Photo 10, you'll learn to process and print your black and white 35mm negatives. 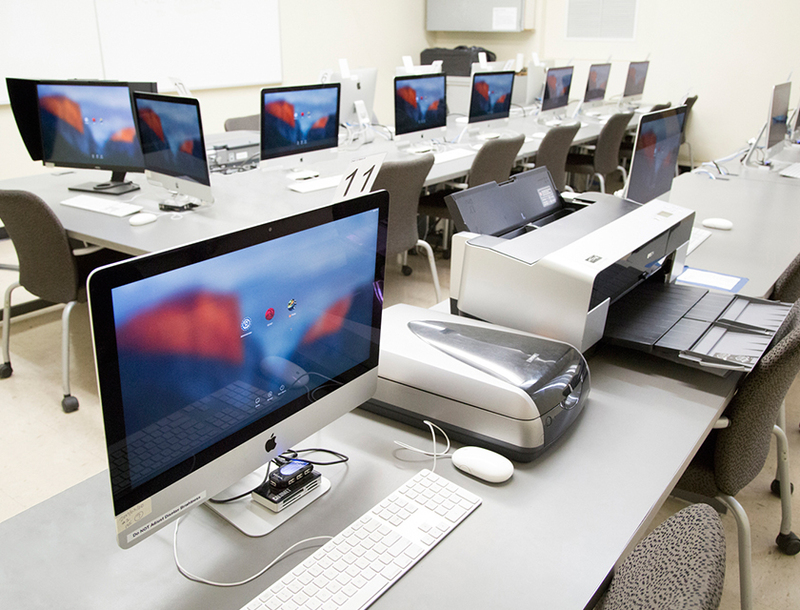 During open lab hours, students can scan film, make prints, and work on Photoshop assignments for class in the C Lab. 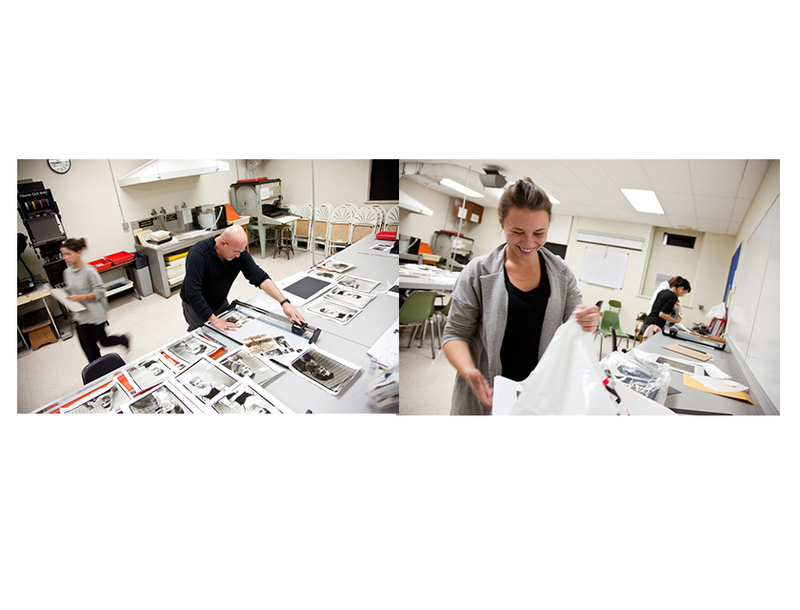 In our 36 station CC147 lab, students will have both lecture and lab time with their professors to work on digital photo assignments. 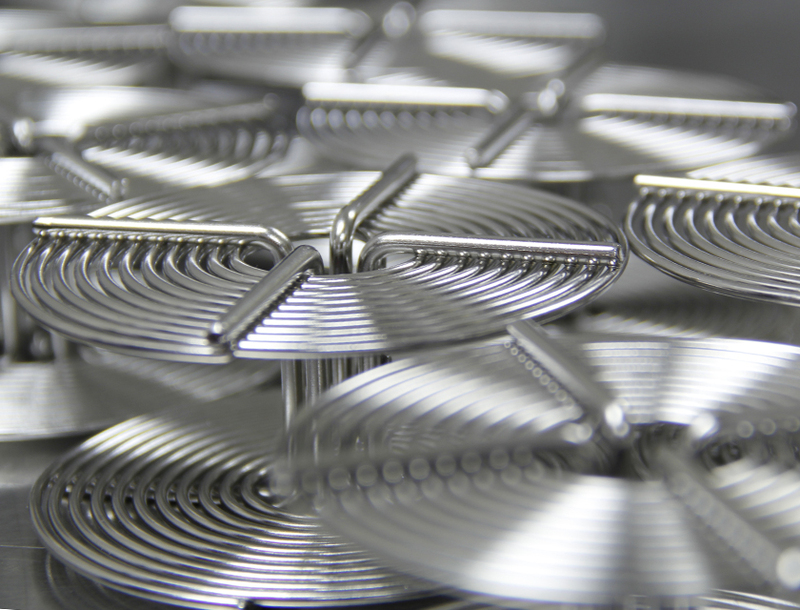 The Print Finishing Room houses the tools you need to get your prints ready for presentation. This includes RC and fiber based print dryers, mount presses, window mount cutters, and paper cutters. Our staff are here to help you out at the supply room. Here, you'll find everything you need to print in the labs or shoot in the studio. The Photography program’s mission is to provide the highest quality education available to students seeking either a vocational AA degree in Applied Photography, a transferable interdisciplinary AA degree in Performing and Visual Arts, or a certificate in Digital Photography, Photojournalism or Commercial Photography.